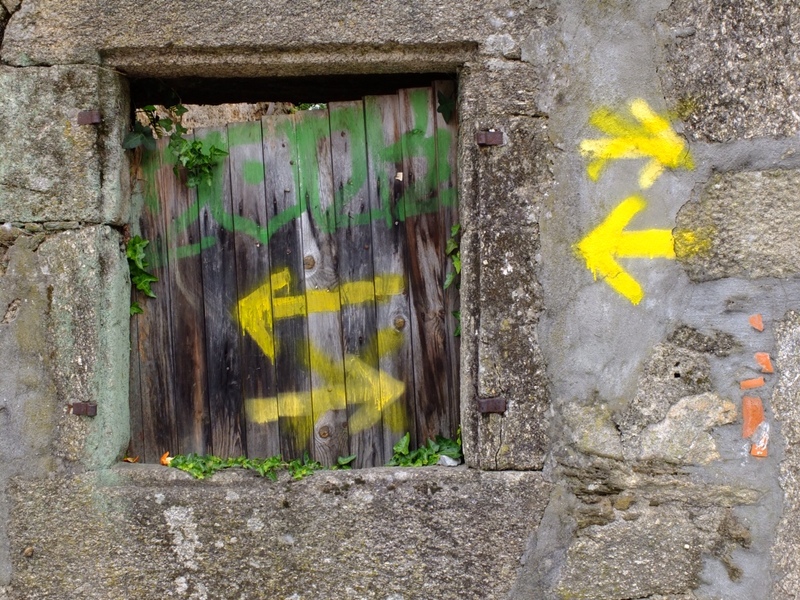 Photography enabled me to fully “see” the Camino as I walked. 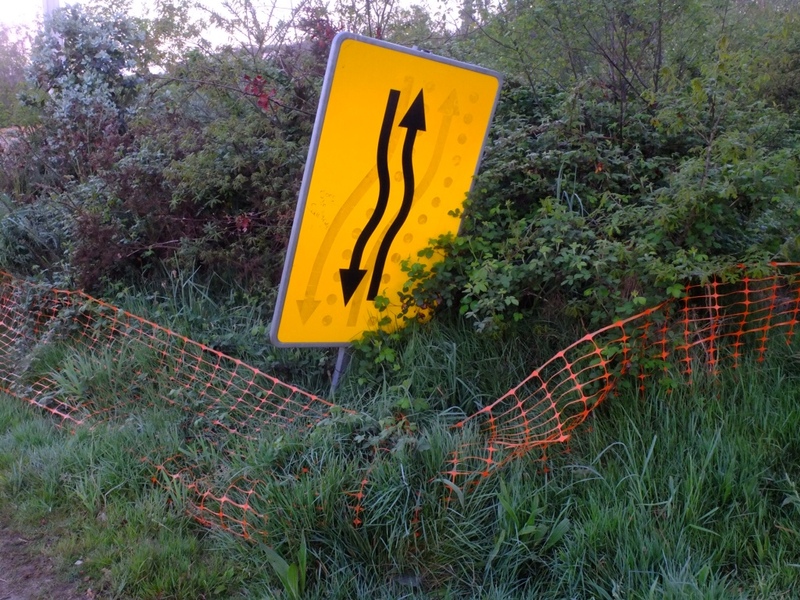 It became a very important part of my Camino experience. I saw things with my camera I simply would not have otherwise seen, had I not been shooting. 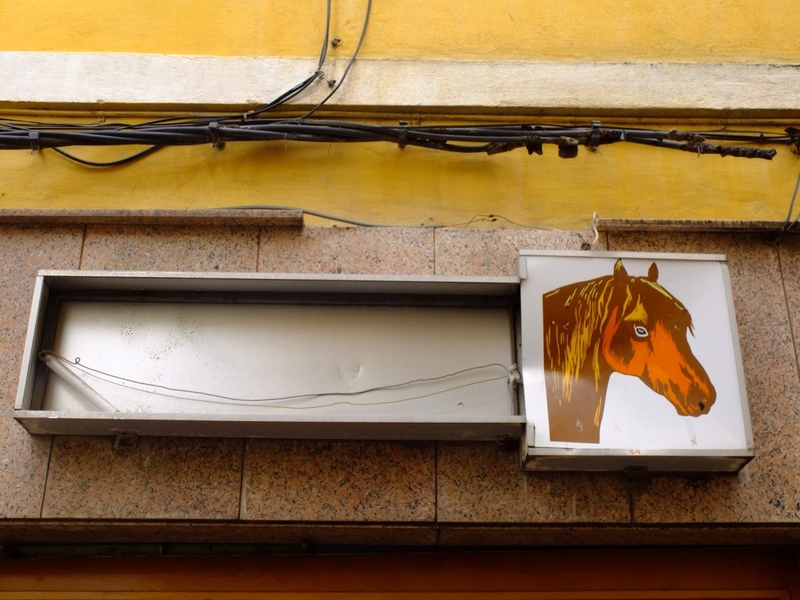 And I experienced things – interactions with people, particularly local Spanish people – that wouldn't have happened had I not photographed them. It wouldn't be so for everyone. Some people think that taking a photograph robs you of the memory – that it's an easy way to grab a moment and consider it later, and in doing so you're not fully experiencing the moment when it's presented to you. That's true in some cases. You can use the camera promiscuously by snatching a shot and quickly moving on, believing that by taking the photograph you've captured the moment for later appreciation: the scenery, the vista, the church, the sunset, the village square. But you find later that the photograph never truly captured the beauty or the magic of that moment, or that scene. It's always a disappointment, and you feel you should have stopped just a little longer and looked, and fully absorbed it with all your senses; not only your eyes, but you should have smelt it, and heard it – things a photograph can never capture – and then you should have filed it away in that data storage bank called your brain. All this is true. But it depends on how you use your camera. And your purpose in taking a photograph. For me, taking a photograph takes time, and engagement. I can't take a photo “promiscuously.” I know the shot will be superficial and technically inept. There's just no point. So as I walk, I look around and I try to really see things. I'm looking for the discordant, the idiosyncratic, the visual malapropisms. I'm looking for the stuff that makes no sense, or that tells a story. As I've said in a previous post, it takes me between 30 seconds to 90 seconds to take a shot. And I've taken now close to 5000 shots. 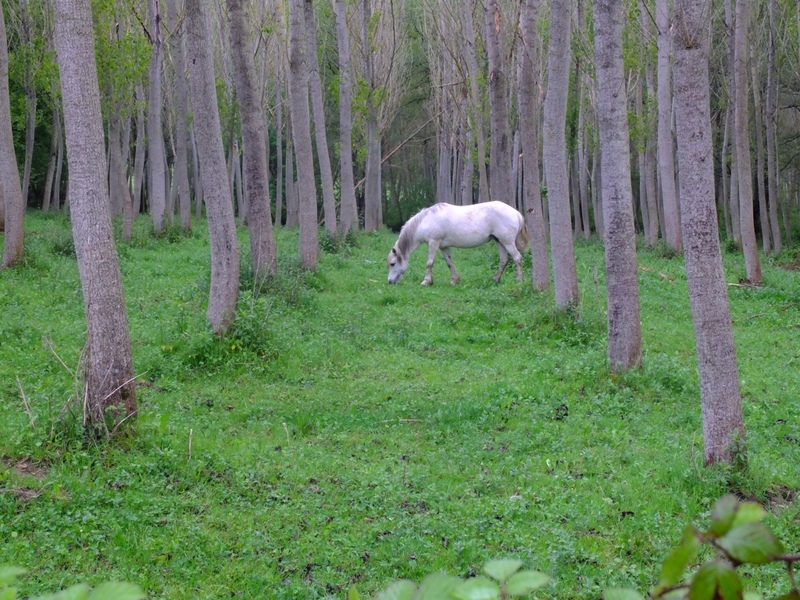 For instance, I took several shots of a white horse in a field full of trees. 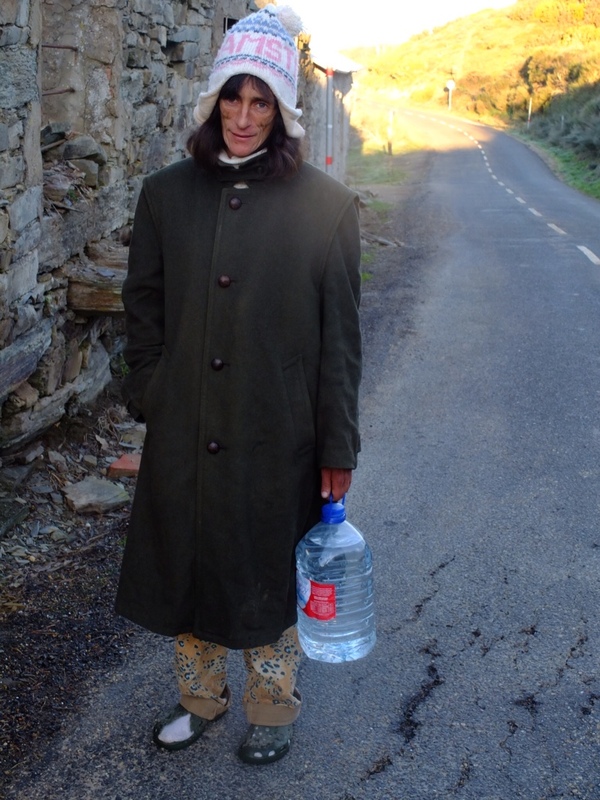 Equally, when I photograph local Spanish people, I walk up to them and ask if it's ok if I take their picture. If they say no, then I thank them and walk away. If they say yes, then I begin to photograph them. And when I've got a shot I'm happy with, I show it to them on the LCD screen, so that I'm not only taking, but also in a small way giving back. Invariably then they speak to me in Spanish, which of course I don't understand. Then I tell them I'm from Australia, which delights them, and i show them my Sydney Swans cap, which confuses them, and then I shake their hand and leave. All up, between 3-5 minutes. So in other words, there's engagement. With the people, and with the subject. Sometimes I wait for clouds to clear so I can get better light. Sometimes I have to wait for quite a while for the background to clear, so I can get a clean shot. It takes time. But that time means I have a connection with what I'm photographing. It doesn't mean each shot is a “keeper.” Of the 5000 odd shots I've taken, I'm only really happy with about 10 of them. But, more importantly my photography has helped me experience the Camino in my own unique way. It has allowed me to truly connect with it. I used a Fujifilm x10. I chose this camera because it's small, it's light (with charger and spare batteries, the weight was about 650 gms) and I really like the Fuji sensors. It has full manual control, and a manual zoom. It's also not an interchangeable lens camera – I wanted a closed system camera so that I didn't have to deal with dust on the sensor. I shot JPEG, which was probably a mistake. I always shoot RAW normally, however shooting RAW on the Fuji would have chewed up the batteries, and the SD cards. Also the Fuji RAW software is dodgy. Despite all that though, I wish now I had shot RAW. It would be nice to have that extra data to pull from. The camera's focal length is (35mm equivalent) 28 – 109mm. f2 is its widest aperture. Useable ISO up to 1600, with later noise reduction in post. I often wanted a 20-24mm lens, and also a 200mm or 300m telephoto. The camino screams out for very wide and punched in shots. 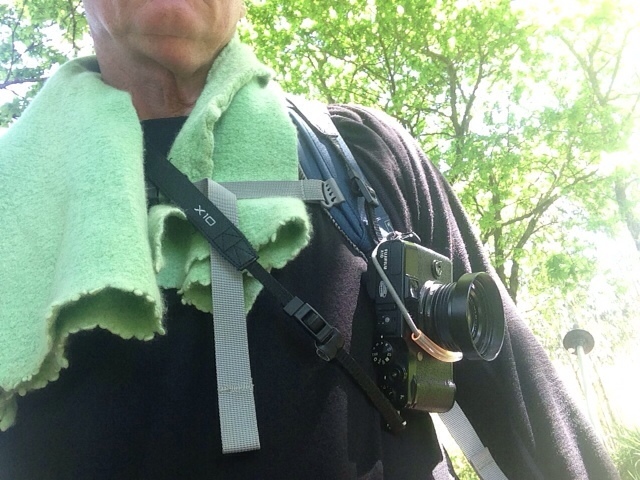 I kept the camera slung to my chest via an elastic cord on the backpack. That way I could access it quickly and easily. When it rained I simply put it under my jacket. I took 3 extra batteries, and 2 extra memory cards. I changed the cards at third intervals during the walk, just in case the camera got lost or stolen, and I lost my shots. The only way I could back up my shots was on my iPad – but I didn't have a great deal of memory so I just backed up selected shots. I also did a select backup on Apple's Photo Stream, however backing up to the cloud takes time – and one thing I didn't have was a lot of time, because my walking days were usually so long. My shots of the Camino I'm sure are not to everyone's taste, but it's the way I saw it. And my photography allowed me to experience it in a very intimate way. 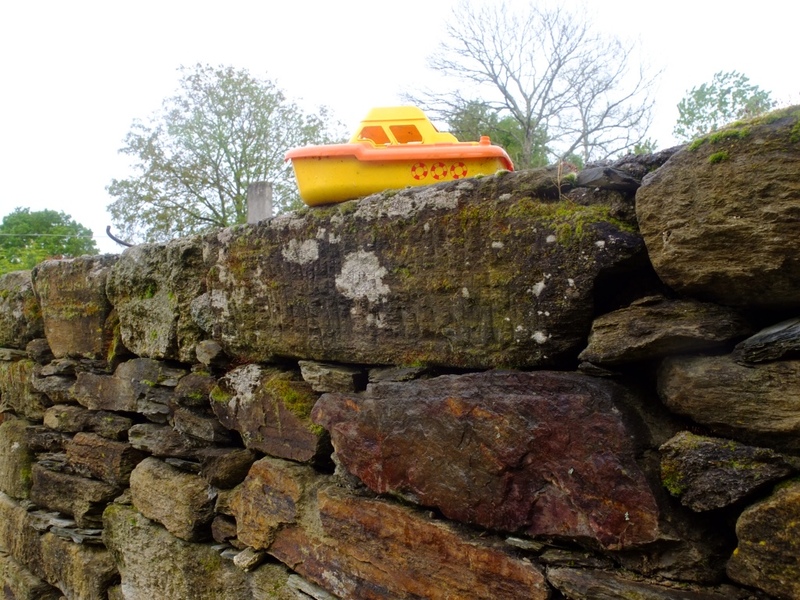 but I was neither shooting non-stop along the way, nor just clicking haphazardly, so the photos that survived the deluge in Galicia generally represent exactly what I was deliberately trying for. Bill, i started to walk with my husband and i walk 9 kilometers in around 2 hours. I can see how demanding this is and how important it is to listen to your body as you walk. I just want you to know that ii have enjoyed your camino as much as you did. I am keeping your audits close by. I will love to see your book or movie as like many others, i do not want to part from PGS. 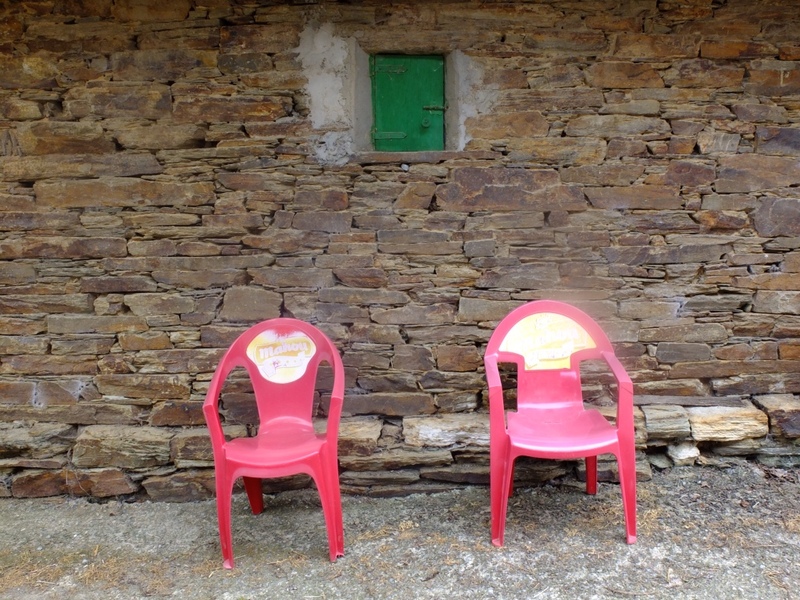 Also, I wonder what is the meaning of the “red chairs” along rhe camino.? Hi Bill, I love your photos, they tell 2 stories. Your connection to the path, your eyes and ears open, visually enhancing your memories and no words are needed to emote your feelings. The other story is that of the land enduring and the life of the Spanish people of the towns and villages. We, as pilgrims, are just passing through, they live it each day. Not much changes, only the seasons, birth and death. Those are powerful photos. My pictures along with my scribble notes on my map, some Facebook entries, but most of all my voice recordings as I walked, allow me to travel to the exact spot, whenever I am feel the need to do so. I follow pilgrims like yourself and am reminded, that albeit each experience is unique, there is a common thread that has not changed in thousand of years. Paso a paso, step by step, in the footsteps of millions to Santiago and beyond. Thanks Jim! 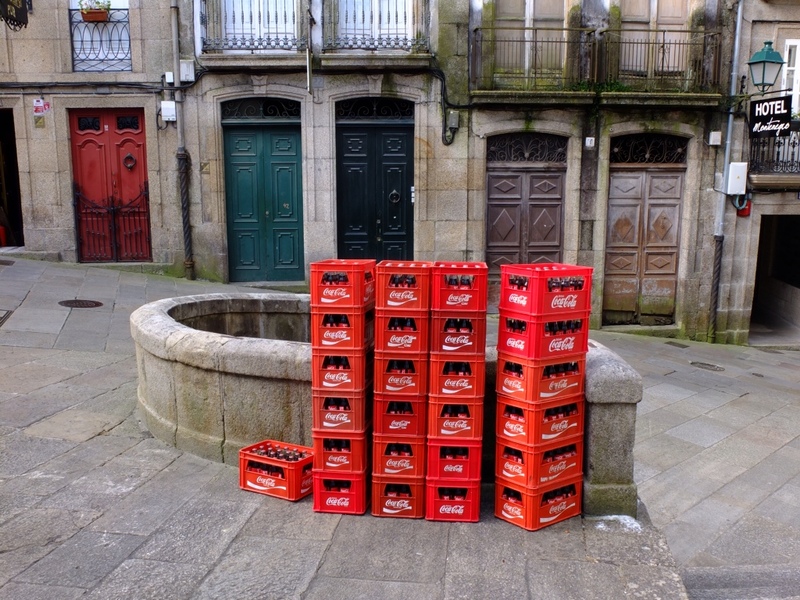 I do like that last shot I posted, of the cartons of coke in the square beside the medieval drinking well! When I visit art museums I drive the guards, other spectators and my husband nuts because I take macro photographs of paint strokes rather than shots of entire painting. I can look up the paintings on line and see the entire composition any time I want. It’s the details you can’t see that I want to bring back to the comfort of my home to study. The depth of the paint (Van Gogh), the direction of the brush strokes (Georgia O’Keefe’s landscapes are nearly all horizontal! ), the leftover pieces of tape (Frank Stella) etc. Love your photo work Bill!! Yes, you’re absolutely right! You can see the complete work of an artist in any book – it’s the detail that’s the most telling. 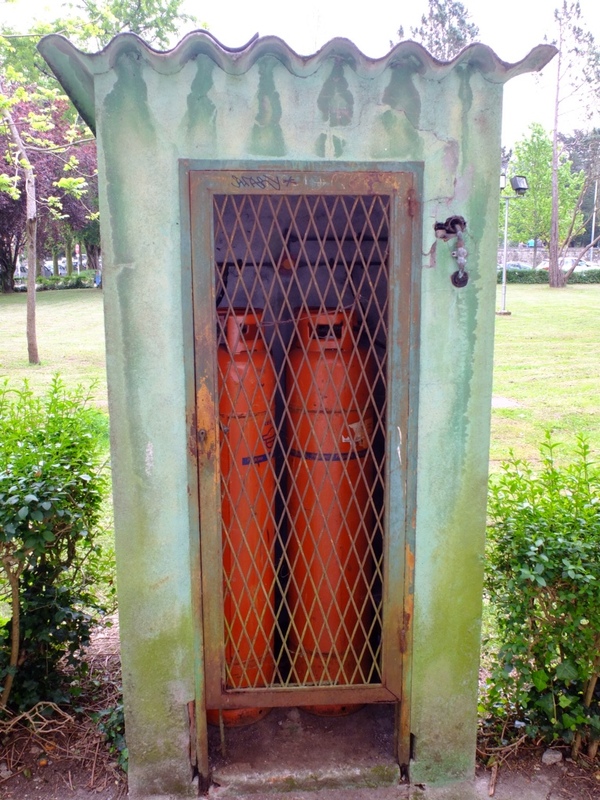 When William Eggleston (my photographic influence) went to Paris, he photographed minutia. It told more about the people, and the nation, than any shot looking up the Champs Elysees! Anyway, I won’t go on and on – though I could – it is a subject close to my heart. Hey Wendy – it’s wonderful that you’re questioning these things. Photography, in its truest form, does provoke you to look at the world and make a personal statement about what you see. For me, it’s not a method of record so much as a method of interpretation. Thank you also for saying nice things about my postings! I really appreciate the effort you take to interact with all your blog followers. It has certainly been an interesting, informative and engaging experience for us all. Thanks Wendy -I’m a little behind on some replies. I figure if someone goes to the trouble to post a comment, the least I can do is respond. And sometimes the comments cause me to think more deeply about something. I’ve started to select my top ten shots – I’ll post in a couple of days. I might make it a few more than 10 shots… There are a few nice ones there amongst it all! Thank you too for being such a loyal follower! Your picture of the white horse in the woods was my favorite. The contrast of colors and randomness of the horse in the straight line of the trees is so visually stunning. Thank you for sharing your experience. Great photos as always Bill. 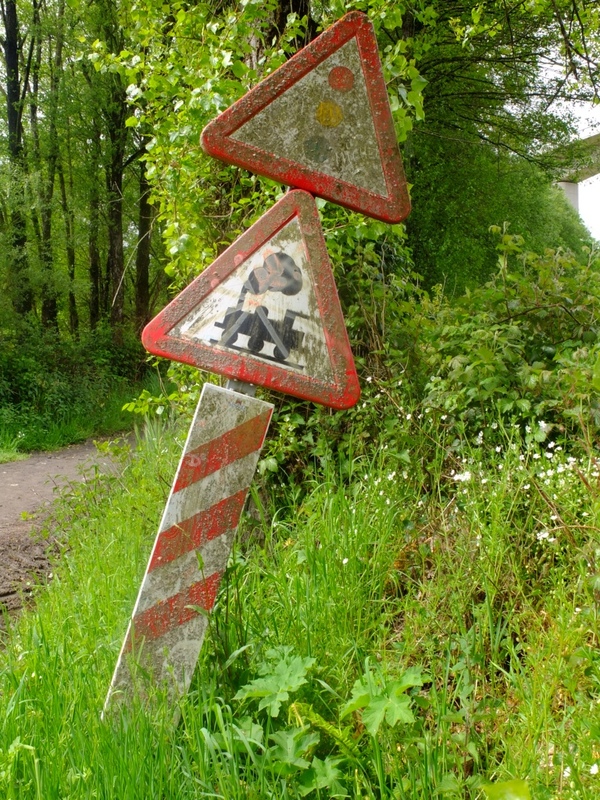 The weather was so wet for a lot of my camino that I missed big sections of it.I will hopefully get them next time. You should put this blog on the blog section of the forum. Hi Pat – yes, I was so so lucky with the weather. And thank you for the compliment re the photos. Ha ha – my wife and I have just been walking around Vigo and she said: I’ll give you six weeks before you start planning another one! It gets into your blood, doesn’t it. Wonderful pictures taken with feelings, did you take any pictures with the iPhone? I only took three shots with the iPhone – the cathedral at the end of the gallery, a landscape shot with yellow flowers and heavy cloud, and the sunrise shot where the sky is aflame. I used the iPhone camera on these occasions because I wanted to use the HDR Pro app, which can handle high dynamic range. It does a particularly good job on heavy skies. Al other shots were taken with the Fuji.